Throughout 2016 and now in 2017 Google has been testing a new layout, which I will refer to on this blog for now as the “boxed layout”. I am willing to bet they change the look and feel of the Google SERPs (search engine results pages) in 2017. 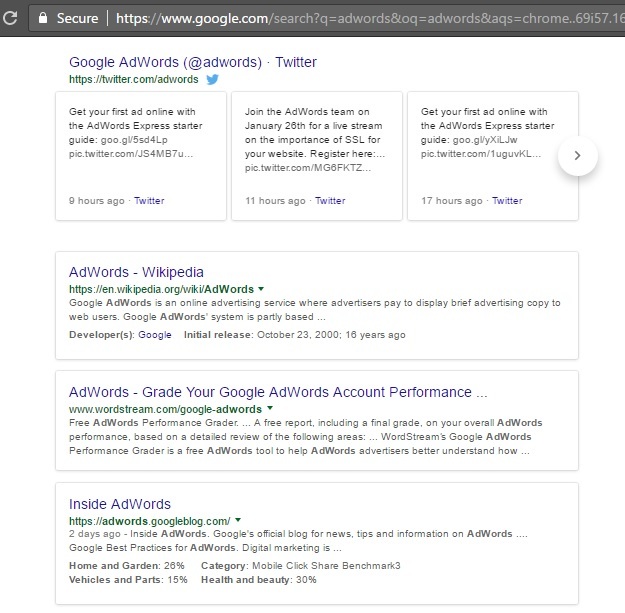 Screenshot of Google testing a boxed layout in SERPs January 19, 2017. If anyone cares – I don’t like it. They had one last year which turned the background grey instead of white which was better. Is Google testing the boxed layout on you? I’m guessing you didn’t find this article unless Google was running some tests. They put these up randomly in search – if you spend enough time online and pay attention to little details you will notice these little changes from time to time. I did forget to look at the number of organic results being displayed before I closed out the window. Oops. Yes, ALL my searches are with the new layout. I really hate it. Too much space wasted. More scrolling. Too much white space. HATE it. I’m getting it and I don’t like it. I’m really surprised how few ads are being displayed. Some results have no sidebar information, others have complete info. The search term “insurance”, generated 0 ads. The search term “life insurance” generated 1 ad. Very surprising for these high-value search terms. Thanks Keith. Interesting, I hadn’t noticed the ads not being displayed as heavily. Admittedly, in my screenshot above, I did exclude ads. I will definitely keep an eye on that though. I can’t imaging Google would trim down the number of ads if they actually roll this out! If I recall correctly, the ads were in boxes as well – but I can’t be sure – do you happen to remember? Have you seen the bright green URLs in search yet? Nope, but I have seen some screenshots on Twitter; maybe I’ll see if I can borrow a screenshot.